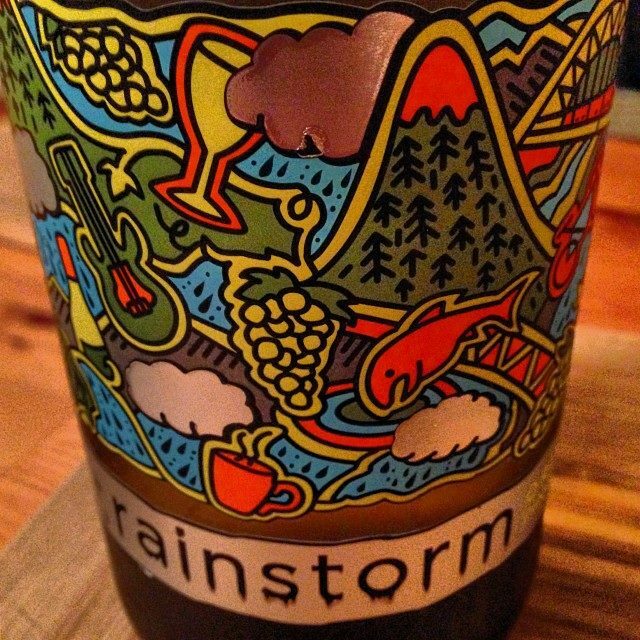 Back label reads: It rains a lot in Oregon. And for those of us who live here you learn to love the rain. Rain influences almost every facet of our lives – how we dress, the foods we eat, the music we listen to and, importantly, the wines we drink.